How to create a social media page design? Companies know from the get-go that social media represent an essential part of their marketing plan. You have to think of how your pages are going to be designed and using the right content which acts as a billboard to communicate your brand in the most efficient way. keep this in mind: Your content must be in harmony and eye-catching. 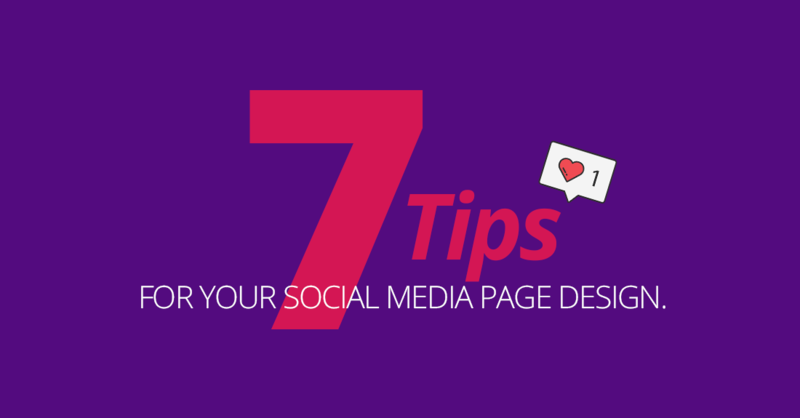 Let’s take a look at some tips to design the best social media page for your company. Life would have been much easier if only one social media existed. Unfortunately, there are dozens and each one comes with it’s own parameters for users and designers to abide by. Photos dimensions vary according to where and how it is shared, from cover photos, to timeline images to profile picture. The purpose of your social media page is to engage with their target audience and get them to interact and share its content. Pages with attractive content and visuals are much more likely to be shared. Work on your designs, analyze your audience, benchmark to know more about what people on the social media like and share. Exercise creative freedom in your designs, while making sure that your visuals are consistent with the company branding and are showcasing their products and community. Being present on different social media help you establish a strong brand identity through your different profiles and pages. If each of your profiles is designed differently and looks like it’s owned by a different company, it will create a disconnect for your users. Your consistent design will make people immediately recognize your company no matter which site or app they are using. Try to use a color scheme across all social media channels. You don’t have to stop at the logo, include your color palette in the posts you share. Associate those colors with your brand. Your social media page designs are only going to be displayed on the screen, so you can forget about CMYK here. The brain processes images thousands of times faster than it processes text, and image-based content (especially photos of people) is proven to generate more shares on social re-tweets, Facebook shares and other types of engagement than text alone. Facebook actually used to have a rule that cover photos could not have more than 20% text. Even though the rule is no longer enforced, it’s not a bad number to keep in mind when designing your cover image. Keep the content image-based, with less text. Looking for an agency to help you further with your social media page design and your digital branding? Get in touch with us, we will be happy to help!